 AHRA 2011: Radiologists Should Become Leaders in ACOs - ONRAD, Inc.
DiagnosticImaging | The final details of the Accountable Care Organization are still yet to be defined, but now’s not the time for radiologists to hesitate. Imaging professionals should prepare for the new health care model by assessing the current state of the practice, from the IT infrastructure to the work flow, according to consultants at Ascendian Healthcare Consulting who spoke at AHRA this week. Once you’ve determined the baseline, you can then set the path for participating in and taking advantage of the ACO model, said Shawn McKenzie, MPA, Ascendian’s president and CEO. The assessment should examine current practices clinically, organizationally, and technically. For example, can your IT systems share images and reports across the organization? Are there areas where you can consolidate your systems or phase out dated ones? Do have protocols in place for capturing and storing images? Where can you build efficiencies? Consider also your relationships with your referring physicians, your IT staff, and your administration. Those are just a few of the questions an organization should ask, they said. Radiologists have an opportunity to take a leadership role in the creation and evolution of ACOs. “You are a critical part of the care continuum, and they need to understand the role of imaging,” Williams said. ACOs, which aim to deliver seamless, high-quality and coordinated care, promise to disrupt just about every part of the radiology practice, from the technology to the patient interaction. As an initiative to control rising health care costs, ACOs will undoubtedly put scrutiny on imaging services, Williams said. Radiology practices will have to rethink their processes to reduce re-imaging and re-ordering, he said. Every aspect of the organization, from staffing levels to procurement, will have to be reexamined in an effort to be more efficient. Facing a risk of becoming a commodity, radiologists instead need to rediscover their roles as physicians. That means getting out of the reading room and interacting with patients and consulting with physicians, they said. Radiologists should offer more decision support to primary-care physicians and participate in order entry.